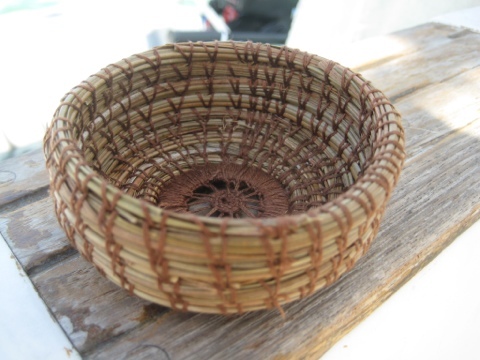 Last season I learned how to make pine needle baskets, thanks to Libby on Tarawathie. This season I talked our good friends to make a stop at Big Pine Key, on our way to Key West, and I collected some of the long needle pines there to replenish my supply. I’ve managed to weave 3 small baskets so far. I have found that they make a great small gift! I am nowhere near as accomplished as Libby but I enjoy making them and they take a lot less time than knitting a pair of socks! Very nice!! 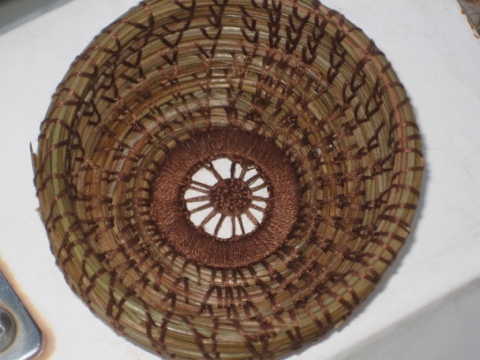 We have a pine needle basket class coming up at my LYS. Maybe I should take it so I will know how to make pine needle baskets on the boat!